You’re writing a work-related email which may go up the corporate ladder to a CEO whose motto is, “Impress me.” As a former English major, this CEO has a reputation for being persnickety about punctuation, grammar, and spelling. He even watches for syntax – whatever that is. 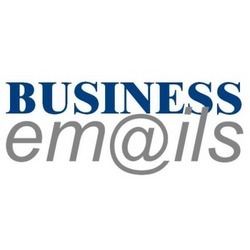 Salutation –With business emails, the salutation depends on your familiarity with the recipient. “Hi Brad” is probably fine with a peer or co-worker you see regularly. If your email is going to a supervisor or leader, where rank outweighs familiarity, it’s best to use “Dear Brad” or “Dear Mr. Collins.” If your recipient has a professional title such as doctor, by all means, use it. Never spell out the titles Mr., Ms., Mrs., and Dr. — use these abbreviations. Do spell out titles such as these: Professor, Pastor, Mayor, and Chairman. Body – Keep messages brief and to the point. No one has time to read and understand a lengthy email. Also, focus on only one topic per email message. To learn how to write an effective email, read our post for more tips and tricks. Apply good grammar. Not only are you representing your company, but you are also representing yourself as an intelligent, reliable employee. Follow traditional spelling and punctuation rules. Use exclamation points sparingly. Overuse suggests immaturity and can lead the recipient to doubt your objectivity. Also, avoid overly casual expressions such as “ain’t” and “gotta,” as well as overused words such as “awesome” and “unique,” etc. Finally, stay away from fancy fonts and colors. Not only are they unprofessional, but they often fail to display correctly on mobile devices. Closing – Best Regards or Best regards? Which is correct? The rule is to capitalize only the first word of the close. It applies wherever you use a complimentary close: emails, letters, notes, and even texts. Shortcut – Wordzen, an on-demand email editing service, was created to remove the stress of perfecting emails. After you have created your message (typed or spoken using Wordzen’s voice-record feature), professional editors review it and refine your message to include the proper greeting, a clear and concise body, and a closing that is appropriate. Even a persnickety CEO would approve. Wordzen saves time, and users report that co-workers and clients are impressed with the resulting emails. 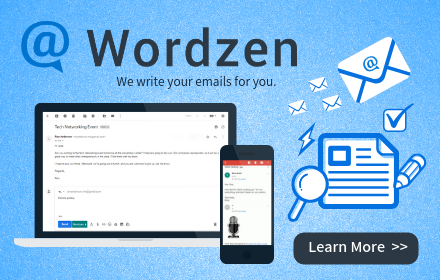 Wordzen works with any active Gmail account. It is easy to install, and you can start using it right away. Visit www.wordzen.com.